Citrus paradisii: grapefruit. One of those fruit that people either love or hate. I used to be fairly tolerant of it, eating it for breakfast once in a while but otherwise avoiding it. When I moved to Texas, I realized this had to change. Grapefruit is the state fruit of Texas. Do you know your state fruit? Maybe not. But I know that grapefruit is the state fruit because it’s more than that. It’s a state symbol. It’s the only citrus strain not originated in Southeast Asia, and it’s the only citrus perfected in Texas. 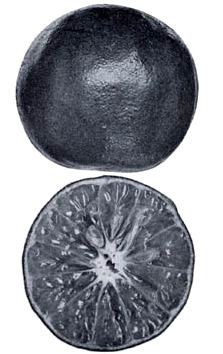 In 1929, a Texas farmer found a mutated red grapefruit on a pink grapefruit plant. After that, Texans became obsessed with growing the reddest, sweetest grapefruit. And they certainly accomplished this, as I can happily testify. The markets here sell bags of grapefruit for $1. It’s impossible to not buy several bags. I am a menu planner for a residential co-op, and we started buying cases of grapefruit instead of more expensive produce for our kitchen. This forced me to move beyond eating the occasional grapefruit for breakfast and incorporating them into every meal. In general, you want to select fruits that are heavy for their size, and this also applies to grapefruit. Heavier grapefruit are heavier because they are juicier. I also gently press the grapefruit to make sure there are no unusually soft spots. Usually I don’t waste the time, however, because I’ve rarely found a problematic grapefruit. Grapefruit also have gray or brown scratch marks or areas of the peel that are a slightly different color. That in no way indicates anything about the fruit itself. Ugly grapefruits need to be eaten too. Just store the grapefruit in your fruit bowl! To preserve it longer, try canning it. I found this delicious marmalade recipe over at The Cosmic Cowgirl. Freezing also works– section it or juice it first. Supposedly grapefruit cake is a south Texas classic. No one in my co-op had ever heard of it before, and when I added grapefruit cake to the menu, everyone was, as they described it, “suspicious.” The recipe that we used (here at Saveur) ended up being amazing and everyone’s doubt was resolved. 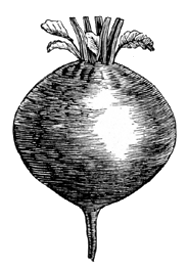 We’ve also been using it in a lot of salads. You can section the grapefruit over a bowl (video below) and capture the juice that leaks out. The sections get put in the salad, and the juice gets used in a dressing. Some grapefruit are more peel than fruit, and I hate throwing away half of the fruit. The peel is edible (if you are sure to wash it first! ), although the pith is not. Researching this, however, I can only find one way to use the peel in food and that was to make candied citrus peel. (If you google “candied grapefruit peel” you can find pictures and plenty of other recipes.) The peels can also be used in the garden to keep away insects and in the home to make cleaners, but that’s a topic for another day. Another delicious option: make condiments with it. Serious Eats has this ridiculously tempting grapefruit vanilla curd recipe. I love having interesting condiments like this in the fridge. I can just pop them on the table alongside a quickly made breakfast of eggs and bread and make the meal suddenly restaurant-level interesting. I know I don’t have to tell you this, but grapefruit can also be juiced. If you have an excess of grapefruit, you can freeze the extra juice as well. This video on sectioning grapefruit is pretty badass. Look at all of the juice that is flowing while the lady removes the skin. THAT is why you do this with a bowl underneath. Don’t let that go to waste!